A. 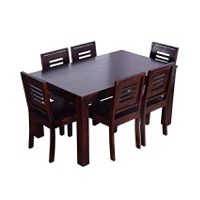 Name: wooden dining set B. 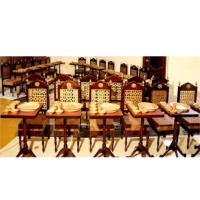 Style: 1 dining table+6 upholstered chairs C. Material: solid wood+mdf D. Wood options: teak, maple, cherry, ash, rubber wood and more . Packed by ctn. Short on time? 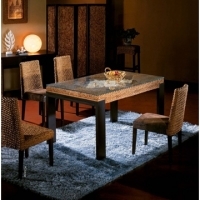 Let dining-room sellers contact you. 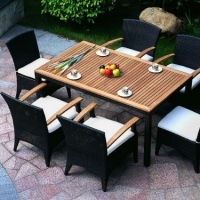 Guangzhou Pengfeng Trading Co., Ltd. 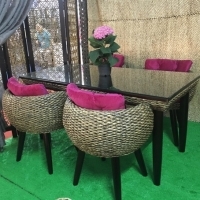 Type: Dining Room Furniture	Place of Origin	Guangdong, China (Mainland) General Use: Home Furniture	Brand Name	WEICHI Specific Use: Dining Table	Glass Color	Optional Material: Tempered Glass,MDF	Quality	High-Class Size(MM): 1500x900x750	Packing	1PC/2CTNS G.W. 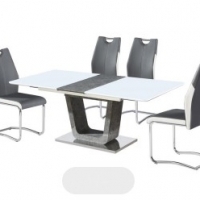 (KGS): 65.00	CBM(M3)	0.17 LOADING/20'GP: 161	LOADING/40'HQ	391 MOQ: 1,Dining chairs: 100 pieces; 2,Other series:20pieces,MDF&Glass Dining Table Customer's Selection: 1, Leather/PU/PVC Selection: different colors and Texture,MDF&Glass Dining Table 2, Metal Process: Chrome, glass TV stand, Nickel Brush and Stainless brush/drawing 3, Glass Process: Painting, Crackled glass, Edges can be made round, straight and wane, MDF&Glass Dining Table 4, Wood process: High gloss painting; low gloss painting; glass TV stand; low gloss veneer painting, MDF&Glass Dining Table Delivery time: 1,Regular orders: 25 DAYS,MDF&Glass Dining Table 2,Custom orders: 35 DAYS,MDF&Glass Dining Table Output: 3000 Piece/Month,MDF&Glass Dining Table. 1. 5 layers corrugated board carton 2. 1 mm foam board 3. 3 mm foam paper.